BOBBY SANDS STREET, Tehran, Iran. 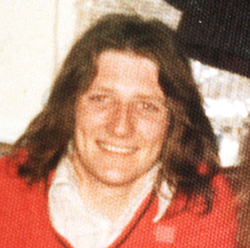 Bobby Sands was an Irish patriot and martyr, who died on 5 May 1981, after 66 days on hunger strike. Whilst in prison he was elected as a Member of Parliament [MP]. One hundred thousand people attended his funeral, including the Iranian ambassador to Sweden. The British government has no right to be in Ireland, just as it has no right to be interfering in the affairs of any other nation. We appeal to the Iranian government and its people not to bow to requests from the British government to rename Bobby Sands Street. Here is a PDF of the Iranian petition of all those that signed the petition and their comments.